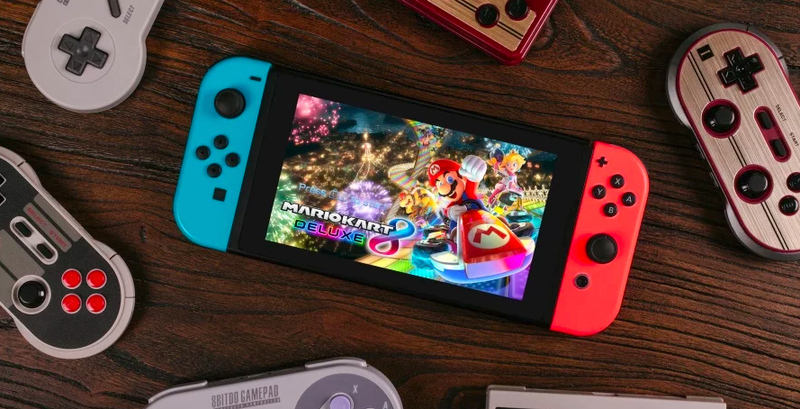 If you aren’t a fan of the Nintendo Switch’s controllers or the system’s excellent Pro gamepad, there’s now another option available for you. 8Bitdo’s various retro-inspired controllers are now compatible with the Nintendo Switch. The company’s controllers come in a variety of sizes and evoke the design of the NES, Famicom, Super Nintendo and Nintendo 64. There’s one catch, however: not every controller works with every Switch game. 8Bitdo says that compatibility is on a game-by-game basis because some controllers don’t have enough buttons for certain Switch games. The NES30 Pro and the FC30 Pro do “offer a fully mapped button set for the Nintendo Switch,” according to 8Bitdo. 8Bitdo’s various controllers are compatible with Android, Steam and run on both PC and Mac. The company also teamed up with Analogue for a wireless receiver for the NES Classic. To update your 8Bitdo controller’s firmware follow this link.